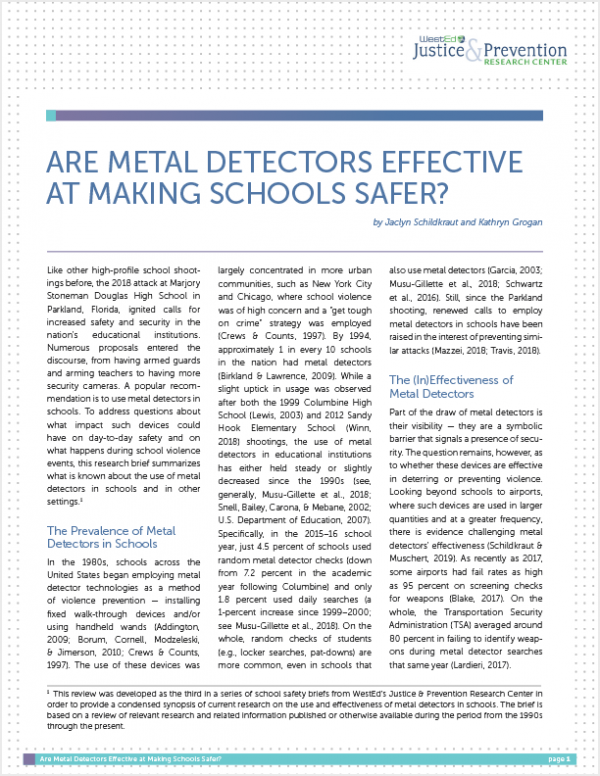 Are Metal Detectors Effective at Making Schools Safer? 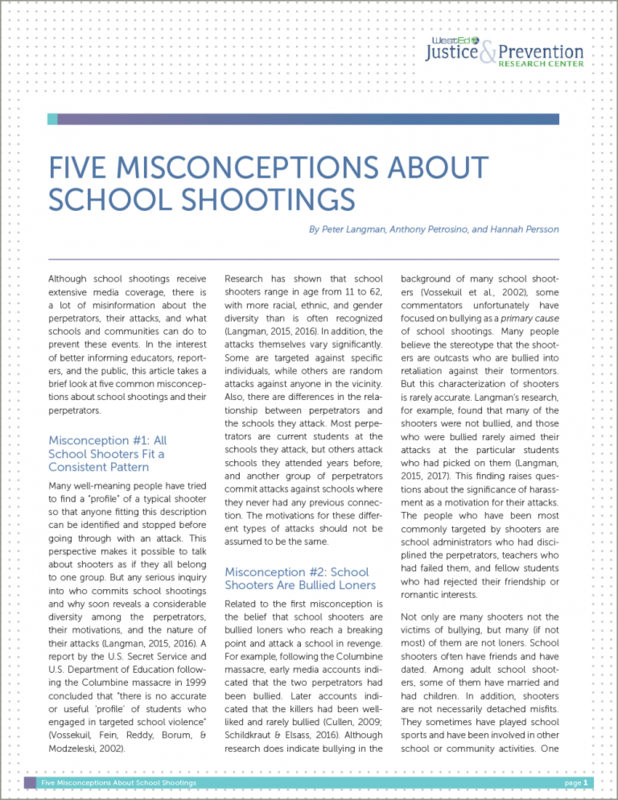 With the tragedies of school violence igniting calls for increased safety and security, one popular proposal is to use metal detectors in schools. 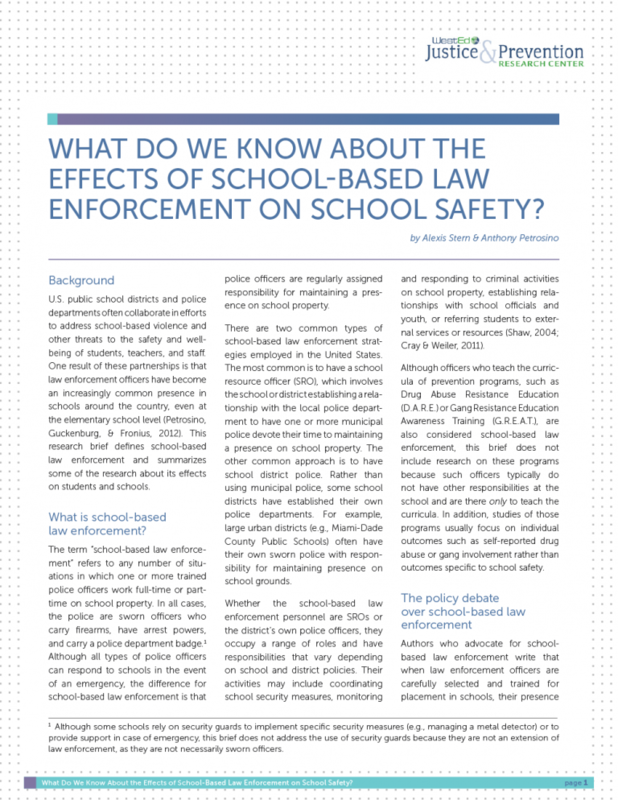 To address questions about what impact such devices may have on day-to-day safety and on what happens during school violence events, this research brief summarizes what is known about metal detectors in schools and in other settings.